Welcome back to our now 2nd Italian Food, Wine & Travel bloggers group! This month we feature one of my favorite regions in Italy, Piedmont or Piemonte! Last month we featured the Veneto region and had lots of amazing blogs to share. This group consists of bloggers that have a deep appreciation and passion for Italy whether it comes from their travels to Italy or their appreciation of the fine wines and amazing cuisine. Piedmont, translating to “foot of the mountain” is indeed at the foot of some of the tallest mountains in all of Europe. It's a hop skip and a jump from the French and Italian Riviera as well the Valle d'Aosta with it's stunning Alpine landscapes. 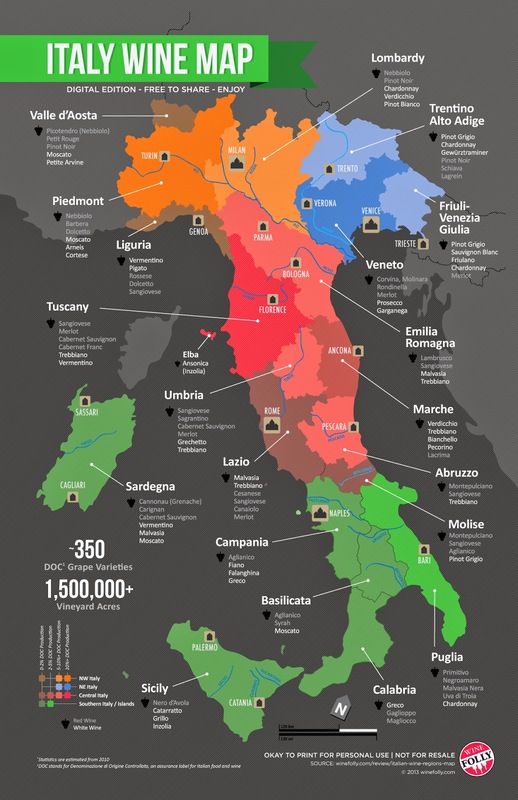 This region is also highly regarded for it's rich cuisine that pair perfectly with some of the best known wines in all of Italy. We have a group of bloggers ready to share with you their insights into the region of Piedmont. This Saturday December 6th will be our second event. You can join us all day Saturday live on twitter at #ItalianFWT and make sure to check back at Vino Travels Saturday for a list of wonderful blogs to enjoy throughout your weekend. There is time to join before Saturday. Please reach out to me at vinotravels at hotmail dot com. Otherwise we would love to have you join us for next month's event and region to be announced Saturday!